The are countless questions and thoughts that run through your head. Most of them also assume the worst even though nothing has even happened yet. After you settle in the parking lot wondering if you’re in someone’s space, you hesitantly go to the front door and the receptionist. All of a sudden you’re warmly greeted and they call into your new boss who comes out and takes you to their office to explain how your first day will unfold. Your shoulders relax and you let out a heavy sigh. The first day then flies by with the mandatory HR paperwork, a tour of the company, multiple introductions to people who say their name too quickly, and then you land at your desk. Lunch is still a mystery because you seemed to either miss it or work through it. Then, the commute home. You’re all geeked up after a positive experience on day one. You liked the majority of people you met. The work seems to match what you heard in the interview and you dig your new boss. Then the second day comes . . .
You’re first day fears have been squelched and you are comfortable with the commute and how to get into the building and to your desk. Oddly, no one is there to greet you and the receptionist is already up to their eyes in guests, calls and e-mails. You go past your boss’s office and they wave, and say “We’ll talk later” – which never happens. You go to your desk and you have to figure things out on your own. You still don’t know what to do about lunch. Sound familiar ?? It happens every, single day in companies across the globe regardless of industry. No one ever explains the existence of “assumed culture.” This is where we just think employees will “get it” because we don’t want to spend time with them because we’re too busy with our own work. When we miss those new folks they start making decisions as to whether they’ll stay or not much more quickly. I’m heading to the SHRM Talent Conference and I’m geeked !! I think the sessions will be great and I’m looking forward to meeting new HR folks from around the country. I’m also sure that the majority of sessions will encourage HR to look at employees as “talent” because we honestly don’t. 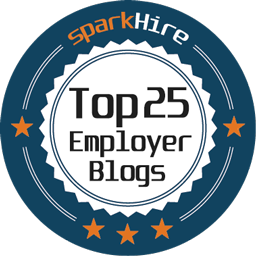 We are still stuck in the mire of filling job requisitions and keeping hiring managers calm. Also, the focus will be on the front end of the business or attracting and recruiting people. Until we start viewing ALL employees as “talent” within our organizations, then our labeling of them will not change. I received some great advice from my boss when I started in my current role some 10 years ago. He wanted HR to be with employees for their entire life cycle – from candidate until the time they leave the company. He wanted to make sure that people didn’t get lost on Day Two. This is another opportunity and reminder that HR needs to firmly be focused on people and not processes such as on-boarding. New employees aren’t things and tasks and we need to keep that in front of us. 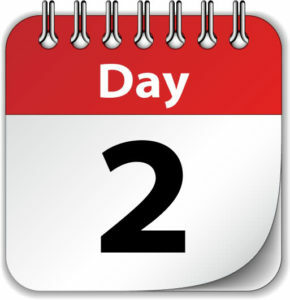 This week see who’s joining the company and make sure their first day rocks, but also greet them on the second day . . . and every one after that so they know that they truly are the talent you sought in the first place !! Previous Previous post: Drop Your Work Face !! Next Next post: And You Are ? ?